The customer, a mining company based in North America that is a leading provider of nuclear fuel processing services to the world’s reactor fleet requires AABSyS to create thematic maps of different geological features in GIS environment using the geological sketches provided by the customer. The company required AABSyS’s GIS expertise as the concept of integrated remote sensing and GIS techniques provides an efficient tool in different geological studies. The geological sketches are provided by the client. These sketches include different geological structures, features, geological information etc. The sketches are provided in digital format i.e.in raster form. The regions are demarcated as per the color which represents different type of geological rock type. Apart from the rock type, the geological structures and dips are presented with different symbology. The images were geo-referenced by AABSyS with reference to grid and coordinates provided over the supplied sectional and level maps. The geo-rectified image is used to capture different features present in the sketch using the heads-up digitization process. Individual layer are created in the ESRI SHP format. The layer information is added in the attribute table. The information is derived from the legend provided in the sketch map. Once the attribution is done, the map is ready for final deliverables. Once the task was complete, then the deliverables were properly quality checked and the tasks were closed. AABSyS put together a team of highly skilled staff for completion of the given project. The team at AABSyS used high end, up-to dated software such as, image analysis software packages such as ENVI, ERMapper, ERDAS Imagine and MultiSpec to complete the given task. Few indigenous auto lisp routines were developed in order to expedite the drafting process and assure quality of the deliverables. 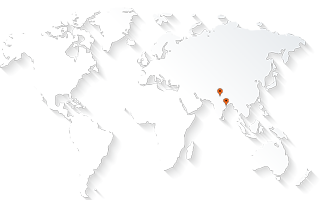 AABSyS has been providing Remote Sensing services to its clients worldwide for many years. The client, a mining company which is a leading nuclear fuel provider was deliver the thematic maps in a timely manner. The maps that were provided by AABSyS were useful in making informed decisions. The client appreciated the work done at AABSyS as the thematic maps were provided in a time bound, cost effective manner. An extensive quality assurance procedure ensured delivery of flawless thematic maps.